We present a method to record the wear on samples of micro deep drawing tools. The method is based on the basic idea of comparative holography and captures three dimensionally the surface of the tool in the initial state and compares it with used state after processing several parts. The comparison reveals scratches and other effects caused by wear. In an industrial environment the comparative method must compensate for linear and rotational displacement of the present tool with respect to the initial state. As a consequence to the single-step-measurement with sufficiently high illumination intensity the developed set-up can be made insusceptible against stray light and the method is capable of inline quality control during a production process in a micro deep drawing machine. N. Tiesler, and U. Engel, "Microforming Effects of Miniaturisation," in Proceedings of 8th International Conference on Metal Forming, 355-360 (Akademia G´rniczo-Hutnicza, Rotterdam, 2000). F. Vollertsen, and Z. Hu, "Tribological Size Effects in Sheet Metal Forming Measured by a Strip Drawing Test," CIRP Ann. 55, 291-294 (2006). E. Brinksmeier, O. Riemer, and S. Twardy, "Tribological behavior of micro structured surfaces for micro forming tools," Int. J. Mach. Tool. Manu. 50, 425-430 (2010). F. Vollertsen, G. Habedank, and K. Partes, "Maßgeschneiderte Tribologie durch Laseroberflächenbehandlung," Materialwiss. Werkst. 39, 88-92 (2008). D. J. Whitehouse, "Handbook of Surface and Nanometrology," (CRC Press Taylor & Francis Group, Boca Raton London New York, 2011). J. Hoffmann, "Tastsysteme für die Mikro und Nanomesstechnik Nanometeraufgelöste Oberflächenerfassung," Tech. Mess. 75, 311-317 (2008). R. B. Bergmann, and E. Zabler, "Methoden der zerstörungsfreien Prüfung"' in Handbuch der Mess- und Automatisierungstechnik in der Produktion, H.-J. Gevatter, and U. Grünhaupt, eds., 363-410 (Springer, Berlin, 2006). F. Härtig, U. Neuschaefer-Rube, "Rückführbare Koordinatenmesstechnik für Mikrobauteile - Grundlagen und Beispiele," Tech. Mess. 75(5), 318-326 (2008). G. Binnig, C. F. Quate, and C. Gerber, "Atomic force microscope," Phys. Rev. Lett. 56, 930-933 (1986). T. Kleine-Besten, S. Loheide, U. Brand, S. Bütefisch, S. Büttgenbach, and A. Schlachetzki, "Miniaturisierter 3D-Tastsensor für die Metrologie an Mikrostrukturen," Tech. Mess. 12/99, 493-495 (1999). A. Krenn, "Optische Messverfahren für reproduzierbare Nanometer-Genauigkeit - mehr Scharfblick mit Fokus-Variation," Mikroproduktion 1(1), 51-53 (2007). 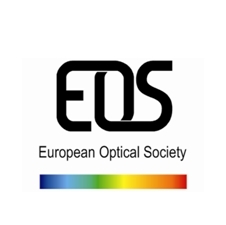 R. Danzl, and F. Helmli, "Three-dimensional reconstruction of surfaces with steep slopes using an optical measurement system based on a colour focus sensor," in Proceeding of the 6th euspen International Conference 516-519 (euspen, Baden, 2006). J. C. Wyant, "White light interferometry," Proc. SPIE 4737, 98-107 (2002). Z. Hu, S. Huferath-von Luepke, C. v. Kopylow, and F. Vollertsen, "Characteristics of wear behavior of micro deep drawing tools," AMPT 2010, 335-340 (2010). T. Bothe, W. Li, C. Kopylow, and W. Jüptner, "High-resolution 3D shape measurement on specular surfaces by fringe reflection," Proc. SPIE Int. Soc. Opt. Eng. 5457, 411-422 (2004). W. J. Bates, "A wavefront shearing interferometer," P. Phys. Soc. 59(6), 940 (1947). G. Pedrini, W. Osten, and Y. Zhang, "Wave-front reconstruction from a sequence of interferograms recorded at different planes," Opt. Lett. 30(8), 833-835 (2005). U. Schnars, and W. Jüptner, Digital Holography (Springer, Berlin Heidelberg New York, 2005). R. B. Bergmann, T. Bothe, C. Falldorf, P. Huke, M. Kalms, and C. von Kopylow, "Optical Metrology and Optical Non-Destructive Testing from the Perspective of Object Characteristics," Proc. SPIE Interferometry XV: Applications 7791, 1-15 (2010). M. Agour, P. Huke, C. v. Kopylow, and C. Falldorf, "Shape measurement by means of phase retrieval using a spatial light modulator," International Conference on Advanced Phase Measurement Methods in Optics and Imaging, AIP Conference Proceedings 1236, 265-270, (American Institute of Physics, Ascona, 2010). C. Falldorf, C. von Kopylow, and W. Jüptner, "Digitale Holografie an reflektierenden Mikrosystemen," Tech. Mess. 73, 257-265 (2006). T. Hansel, G. Steinmeyer, R. Grunwald, C. Falldorf, J. Bonitz, C. Kaufmann, V. Kebbel, and U. Griebner, "Synthesized femtosecond laser pulse source for two-wavelength contouring with simultaneously recorded digital holograms," Opt. Express 17(4), 2686-2695 (2009). W. Osten, T. Baumbach, and W. Jüptner, "Comparative digital holography," Opt. Lett. 27, 1764-1766 (2002). T. Baumbach, W. Osten, C. v. Kopylow, and W. Jüptner, "Remote metrology by comparative digital holography," Appl. Optics 45, 925-934 (2006). J. Goodman, Introduction to Fourier Optics (Roberts & Company, Greenwood Village, 2005). S. Huferath-von Luepke, T. Baumbach, E. Kolenovic, C. Falldorf, and C. v. Kopylow, "Digital Alignment of a reconstructed Hologram for Measurement of Deterioration of Tools," in Proceedings to 36th International MATADOR Conference, 331-334 (The University of Manchester, Manchester, 2010). R. B. Blackman, and J. W. Tukey, The measurement of power spectra (Dover Publications, New York, 1958). W. Hackbusch, H. Schwarz, and E. Zeidler, Teubner-Taschenbuch der Mathematik (B. G. Teubner, Stuttgart, 1996).